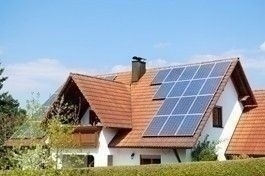 (MCT)—With solar panel prices plunging and generous tax credits and incentives still available, now may be as good a time as any to go solar. But shopping for a solar power system can be a tough task. Consumers face a bewildering array of options. There are thousands of different solar panel models from dozens of manufacturers. In some regions, consumers can choose from among hundreds of different panel installers. And once they pick their panels and a contractor, they have to figure out how to pay for their system from among several different methods. “It can be pretty daunting and overwhelming with the number of installers that are installing solar systems these days,” says Drew Lowell-Britt, an energy specialist with EcoMotion, a consulting firm that advises cities, companies and other organizations that are considering or trying to promote solar power. Solar power experts and those who have shopped for systems have plenty of suggestions on how to make the process more manageable. The first thing to assess, they say, is just how much energy you’re using and the extent to which you can reduce that amount. The size of the system you’ll install is largely determined by how much energy you use. By reducing your energy consumption, you can get away with a smaller — and less costly — system. That’s what San Jose, Calif., resident Brian Friss found when he shopped for a solar power system. Just by being more conscious of turning off lights and the television and unplugging portable electronics when they’re done charging, Friss says his family has reduced its power bill by about $100 a month. And now they are looking at getting a significantly less expensive solar power system than they initially expected. “Our big mistake early on was not understanding our usage,” says Friss, 39, the co-founder of Digistor, a professional data storage company. Panels are rated for their efficiency and their electrical output. Today’s panels tend to range in efficiency — which measure the percent of solar energy that the systems convert into electricity — from about 14 percent to 20 percent or more. If you go with more efficient panels, you can use fewer or smaller panels than if you use less efficient ones. But the more efficient panels tend to cost significantly more than the less efficient ones. But efficiency and output aren’t the whole story. Consumers can also take a look at panels’ degradation rates and their warranties. As they age, solar panels typically produce less electricity; each model has an expected degradation rate, which manufacturers also provide. Theoretically a more efficient panel could end up generating less electricity than a less efficient one in a few years if it degrades more rapidly. While 25-year warranties are starting to become the norm, consumers should check “the terms of the warranty, what it includes and what it doesn’t,” says Mike Foster, acting manager for green building and energy programs for the City of San Jose. In terms of picking a contractor, experts suggest that consumers talk with at least three before settling on one. Because each city has its own regulations and permitting process for solar installations, it’s important to find a contractor who has experience in a particular area, experts say. They also recommend checking references and consumer review sites such as Yelp to find the right installer. Most experts suggest that consumers buy their systems, rather than choosing other payment options. The payoff for doing that tends to be much shorter, and consumers can immediately start enjoying free electricity. But the vast majority of systems these days are installed under leases or power-purchase agreements, where homeowners don’t own the panels placed on their roofs, but instead agree to purchase power generated by them from the installer. Such plans are attractive, because often they don’t require consumers to pay any money up front, but offer the promise of lower electricity rates immediately and in the future. Experts caution consumers, though, to carefully examine the terms of such contracts, which can last 20 years. Many include charges that escalate over time, which could leave consumers paying more money for their power than they would if they stuck with their regular utility. Shopping for a solar system can be a daunting process. Here are some things to consider. —Sizing up your needs: With solar power systems, their size, cost and the time needed to recover your investment are largely determined by how much power you use. You can save money by reducing your consumption before installing a system. —Picking panels: Panels are rated by their efficiency. More efficient panels tend to be more expensive, but you can potentially use fewer of them or they can take up less space on your roof. Other things to consider are how quickly they are expected to degrade, the length of their warranties and what the warranty covers. —Choosing a contractor: Manufacturers’ websites list contractors by ZIP code. You can check with your state to see which contractors are licensed. Because regulations differ by city, finding a contractor with experience in your area can be important. Experts suggest comparing bids from three or more contractors and checking their references. —Figuring out financing: Consumers can pay for a system up front, take out a loan or sign a long-term lease agreement. Many experts recommend buying over leasing, because the time to pay off is shorter. But leasing agreements often involve no upfront costs and can offer immediate savings on electrical costs.